Technology which has given people with diabetes easier access to crucial information about their blood sugar levels is already making a difference across Wales. 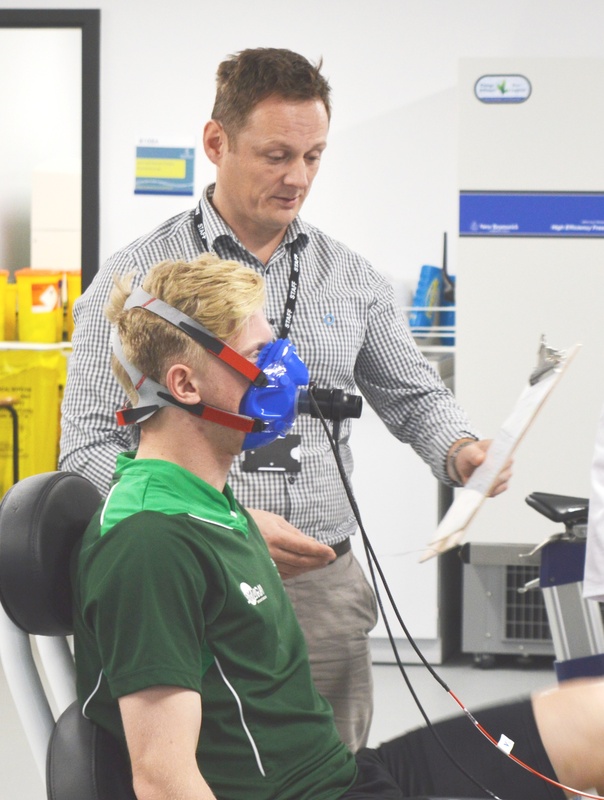 Now researchers at Swansea University are hoping the increasing use of glucose monitoring devices will help encourage patients with diabetes to lead more active lifestyles. Swansea University Associate Professor Dr Richard Bracken said: “Hypoglycaemia, or low blood sugar, is a real fear facing people with type 1 diabetes. As exercise can cause glucose changes some people may be discouraged from being as active as they should be for overall health benefit to avoid having a ‘hypo’. Known as flash glucose monitoring, it uses a small sensor worn on the skin to record blood sugar levels continuously and is read by scan whenever needed. It means people no longer have to endure the old method of finger-prick testing as frequently. The devices hit the headlines recently with the news that an estimated 500,000 people living with diabetes in England have been denied access to them due to NHS funding decisions – despite the fact Prime Minister Theresa May has been pictured using the sensor. Dr Bracken added: “We are now able to keep track of our heart rate, footsteps and the calories at the touch of button on personal fitness devices. The sensors provide two weeks of real-time results and pick up on changes to blood sugar throughout the day or night. “We don’t want anything to stand in the way of people exercising – an active lifestyle has so many mental and physical health benefits, not only in helping to manage diabetes,” he said. “We know that the effect exercise has on glucose levels does put some people off but now they can access more information. Making people aware of how glucose levels vary is key. Swansea University is at the forefront of investigation into the condition and is the home of the renowned Diabetes Research Unit Cymru. Around seven per cent of the population now has diabetes but this figure is expected to rise dramatically. More than 20 per cent of Welsh hospital in-patients have diabetes and the condition accounts for more than 10 per cent of NHS spending. Dr Bracken says his team is always eager to enlist new recruits for the unit’s ongoing trials. “Our trials are a vital part of our work to find out more about diabetes. Well conducted research has a major impact on the development and modification of clinical guidelines. “We know that people who participate in research enjoy a better understanding and better management of their condition through their additional contact and relationship with health professionals.